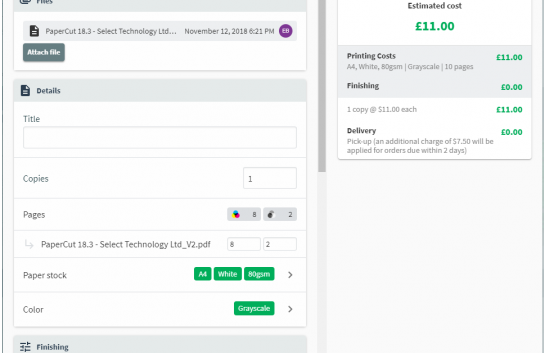 We at Selectec are a curious (nosy) bunch, so when we received two requests in a matter of a few days regarding using PaperCut with JumpCloud we needed no excuse to jump up and start our JumpCloud adventure. For those that have never heard of it, JumpCloud is DaaS (Directory as a Service) and basically allows you to take your traditional on-site User directory (think MS Active Directory) and stick it up in the cloud. As with many other traditionally on-site services this potentially frees up the need for hardware and associated support on site, while at the same time allowing admins control over their users, infrastructure, and client systems regardless of type. There are numerous features and benefits of using a system like this, but for our purposes, we will be particularly interested in the LDAP as a service functionality. Once synced, this information can then be used by various parts of the PaperCut system, in places like Integrated scanning for automatically filling in user email or home folder locations, or for sending users notifications via email. As we soon discovered, although setting up the connection to sync to JumpCloud was relatively simple, the basic information made available did not include custom attributes, rather just the basic username, email and group details. At this point… In steps our integrations team, and with their wizard-like mastery of all things API they proclaimed “We can make an integration for that!” This essentially meant some of the other information which was not previously available could be accessed and pulled into PaperCut via the JumpCloud API (cool huh). Ok so if you’re still reading after this point then it probably means you have a bit more than a passing interest in this, and so you might like to see some details of how and where to put in the details within PaperCut for the JumpCloud sync. We’re going to assume that by this point you have your users setup within the JumpCloud system including an LDAP binding user account and that PaperCut is installed and you are ready to set the user sync source. The User/Group Sync page is displayed. In the Sync Source area, under Primary sync source, select LDAP. Under LDAP Server Type select Standard (Unix/Open Directory). The organisation ID can be found on your JumpCloud admin console. Under Admin password enter the password for the LDAP binding user. Click Apply and Test Settings, or if you’re feeling brave skip right to the Synchronise Now button. 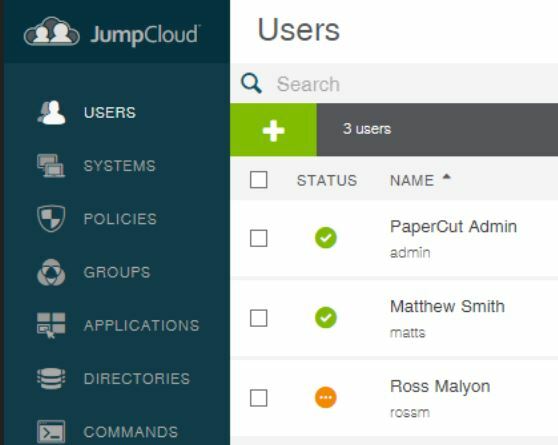 All being well, when you check your Users section in PaperCut, you should see a list of the users synced from JumpCloud at this point. So…. Now you should be able to sync usernames, email addresses, and groups from the cloud. What if you want to sync the extra custom attributes we mentioned at the beginning of the article? Edit the config.toml file, this contains all the settings you need. Use your favourite text editor. Oh, Authtoken is the value set under “auth.webservices.auth-token” within PaperCut. Run the application using a cmd prompt. Set up a schedule using Windows scheduler to create a Cron job. We suggest you set this to run after PaperCut’s nightly maintenance/sync, we would go with 2am. This application will loop through all of the users in PaperCut then check JumpCloud for them and if they exist it will pull down the attributes from the fields set in the config file. Consider using SSL/TLS, our setup was a test and not production. Need help or looking for us to make something new? just get in touch. 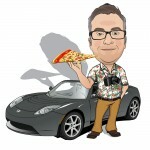 Movie buff, electric car enthusiast and a bigger pizza fan than your average hero in a half-shell, Matt is part of our caring pre-sales and professional services squad. 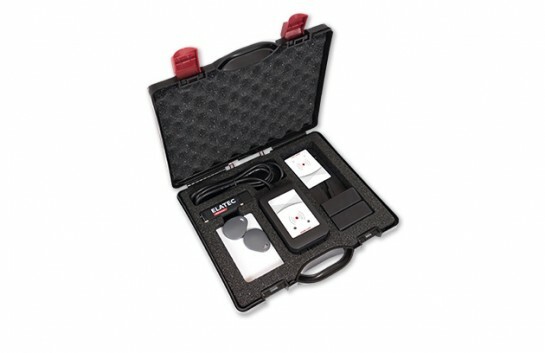 When he is not thinking about his next deep pan, triple cheese, dough based Italian meal he can be found onsite or in front of a reseller delivering a first class install or training experience.